"Peer review" has two meanings. This page explains how an article is published using an editorial process called peer review. Alternately, peer review relates to information containing original research (as opposed to information that is summarized or based on opinion). If you're looking to see if a specific journal is peer reviewed, one of the best places to go is our Journal's List here at Memorial Library. 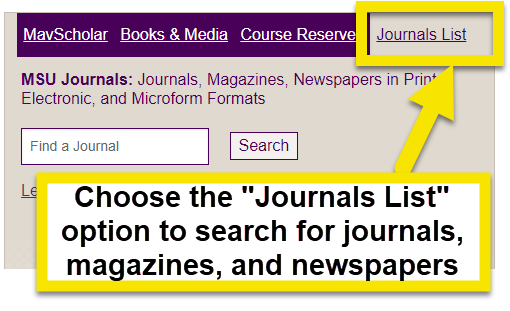 First, click on the "Journals List" tab above the search bar in the middle of the Library Home page. Then search for your journal or magazine. You can do this in a variety of ways. First, you can search for the journal or magazine by the title or title words. You can also search by part or whole of the journal's ISSN number. Once you've found your journal, take a closer look at the entry. 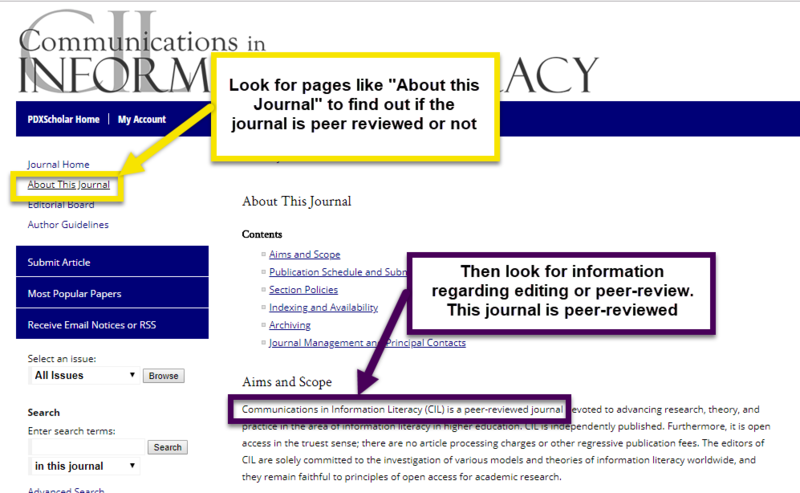 Look under the title for an icon that says Peer Reviewed to indicate if the journal uses the peer review process. 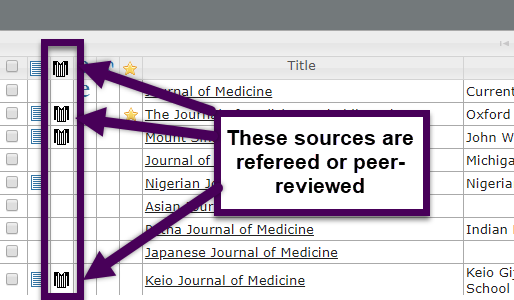 Another method for determining if a journal and its articles are peer-reviewed or not is to look it up. One way to check is through something like Ulrigh's Periodical Directory, which will have a lot of information about the journal or magazine, including if the source is peer-reviewed, or "refereed". Use the link below to search for your journal title in Ulrich’s Periodical Directory. If you see this icon then the journal is refereed or peer-reviewed. Your last option for determining if a source comes from a peer-reviewed journal is to find information from the journal itself. Search for the journal title on the web. From there, look for an editorial policy page or a page for authors to find out if the journal uses a peer review process. This will be where the journal says if it's peer-reviewed, or what kind of editorial process it has. An example of this is below.